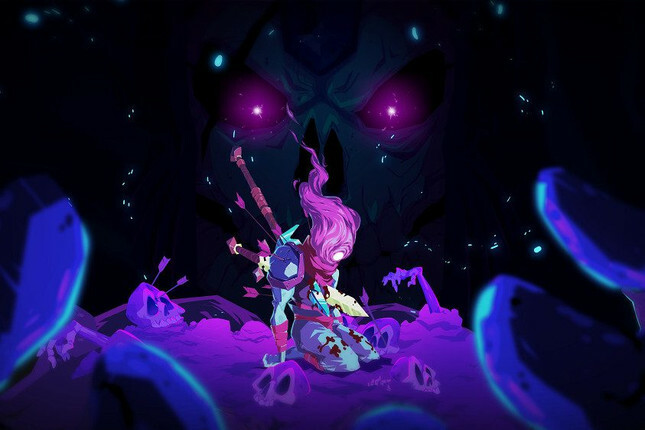 Dead Cells developers, Motion Twin have revealed that the previously announced 'Rise of the Giant' DLC is releasing this month for PC. The DLC will arrive in the form of a free update for the PC version on March 28, and will see players entering a brand new area called 'The Caverns'. Along with the expansion of the map, the 'Rise of the Giants' DLC will feature a brand new boss, ten new enemies, ten new weapons, new items and mutations along with a hidden level and boss fight for "very advanced and skilled players to explore". On top of this new content, a new 'Skinning system' is being added, and include more than fifty new character outfits for players to discover. Along with the new content, Motion Twin is also making several quality of life improvements to the smash-hit game, including a new specialist shop, a new cursed gem, food drop re-balancing and an increase to overall player health. Check out the full patch notes here for a detailed breakdown on all of the changes coming. Check out the Dead Cells accolades trailer below for a brief glimpse of some of the new content. There's no word yet on an expected release window for the console versions, but it will likely follow closely behind the PC release at the end of the month.